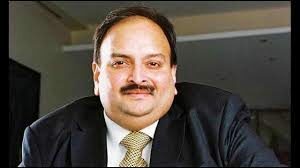 Mehul Choksi a fugitive jeweller gave up his Indian Citizenship to Antigua, this move was done by him to avoid extradition in India, he has been sued by multiple companies under Loan Fraud. 50-year-old Mehul Choksi gave his passport and submitted 177 dollars to the High Commission of India in Antigua. His new address is known as Jolly Harbour Marks. Mehul Choksi cannot have a Dual Citizenship, as he is still hearing cases in India, the foreign ministry said. They added that Antigua is hearing India’s case for the crimes of the businessman. As of now, Antigua and India do not have any extradition pact. But, the government of India is trying to bring back Choksi from Antigua, the officials have said that they are doing it under a law that will allow a fugitive to be sent back to a designated Commonwealth Country. In 2018, Mehul Choksi got the Citizenship of Antigua and Barbuda, he took the oath on January 15 last year. Just after 2 weeks, the CBI has filed a case and started their investigation on him and Nirav Modi (His Nephew). Both Nirav and Choksi are involved in a case that says they have done Rs.13, 000 frauds that consist of fake guarantees under the Government-owned Punjab National Bank. Nirav and Choksi left the country last year, Choksi said he left the country so he can get medical treatment in the United States of America. Last year, in December the Interpol did put a notice against Mehul Choksi after a request was done by the CBI (Central Bureau of Investigation). Choksi has explained why he could not return to India, he said his poor health condition simply does not allow him to go on a 41-hour aeroplane journey from Antigua to India. He also said that the court should reveal his health condition to the public.